How did a simple Jewish woman, with very little education, come to be exalted as the Mother of Jesus, the Mother of God and the Queen of Heaven? Its all God’s grace. This is what we are celebrating today. Unlike what Protestants may think of us, we are not celebrating the glory of Mary in herself but we are celebrating the wonderful works of God and his abundant grace, seen and proven in this person, Mary. Mary is assumed into heaven only because of God’s grace. It is God’s grace that is able to transform a humble and simple person like Mary into the person whom we admire today. Therefore, on this Feast day, it is God whom we are glorifying and praising. To criticize this feast and to reject it would be to cast doubts on the power of God to do the impossible. 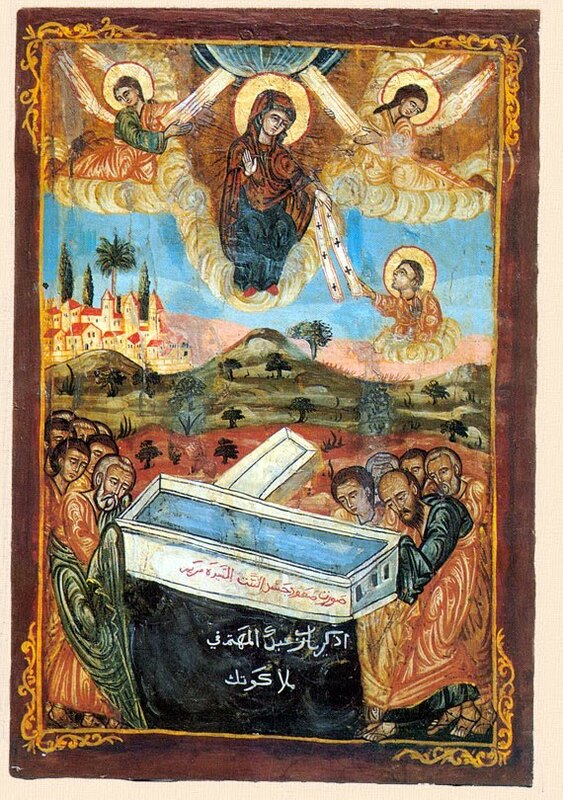 The Feast of the Assumption proclaims several messages of faith and hope. First, it is during this feast that we come to affirm our faith and hope that we, who are believers in Christ, will share in the resurrection of Christ. We can believe in the resurrection because it has already happened in the person of Mary. She is proof that the resurrection is a reality and not a mistaken and naive human wish that there is life after death. Second, the Feast proclaims the goodness and beauty of our physical bodies. Mary is assumed into heaven not only in spirit/soul. She is assumed both body and soul into heaven. The body is not evil. The body is not the cause for our sinfulness. The body is created by God. It is a good, a precious gift to be cherished and guarded with care. We must then respect our physical bodies and the bodies of other person. Physical and sexual abuse, drugs, smoking, drinking, gluttony, inadequate rests violate the sanctity of the body. Third, the Feast proclaims the unity of the body and the soul. A body without a soul is a lifeless object/thing. But a body with a soul is a person. He or she is a person. He or she deserves respect and dignity. If we forget the spiritual dimension of the person and only think of him as a physical body, we would soon start treating him as an object/thing to be used, abused and discarded when no longer useful to others and society. To remember that the person is a unity of the body and soul is to remember that he is sacred. To say that a person has a soul is to say that life will not end even when he experiences physical death. The body may decay but the soul continues for eternity. And because there is life after death, we should begin to invest in what happens for eternity rather than focus all attention on what is temporary – our present riches. Our love of Mary should lead us ultimately to love of her son, Jesus. She brought Jesus into this world. Jesus has brought her into the next life. We too join Mary in praising God and giving thanks to him for the wonderful things he has done in our life. Most of all, we join Mary in thanking God for giving us his Son, Jesus.